1. 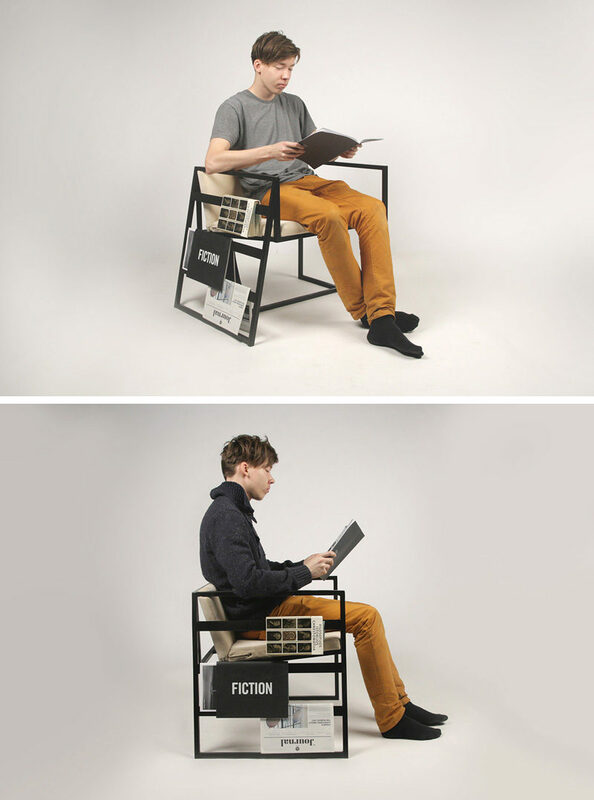 This chair was designed to conveniently hold magazines and newspapers, and helps you keep track of your page without bookmarks or dog-earing your pages. See more of this chair, here. Designed by Lukas Avenas. 2. 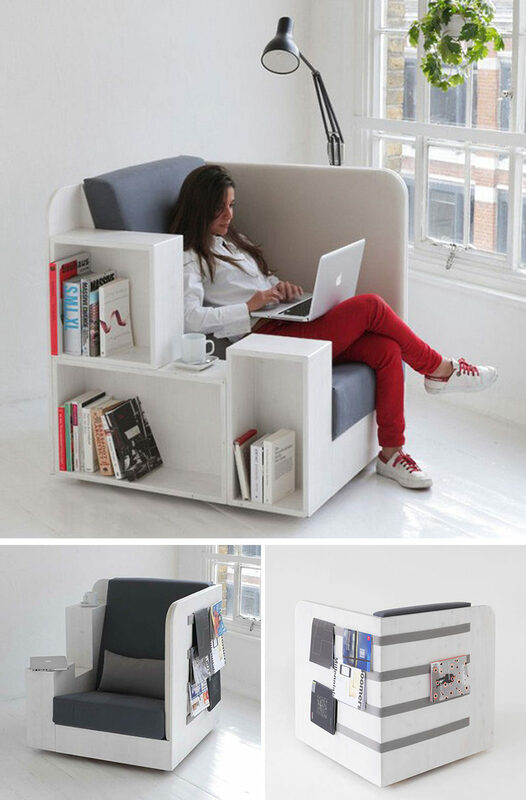 This book storing chair is designed to hold at least 80 books, which is more than enough for a rainy day! 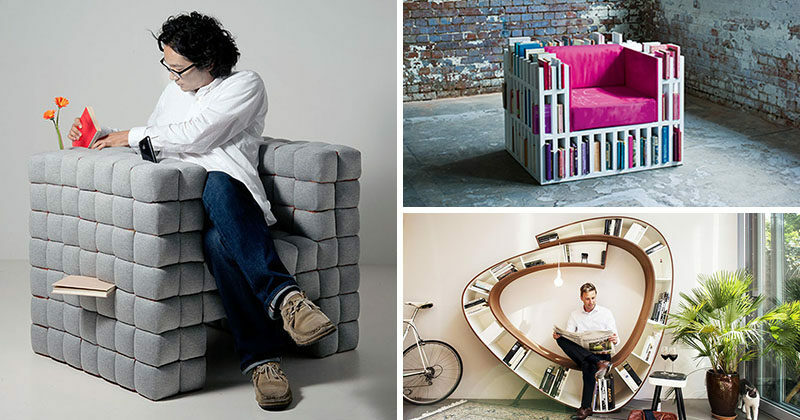 Bibliochaise designed by Nobody and Co.
3. Large cubbies, comfortable cushions, and the perfect spot for resting a cup of coffee or a plate of snacks, makes this chair the one you’ll want to spend all day in. See more of this chair, here. Designed by TILT. 4. 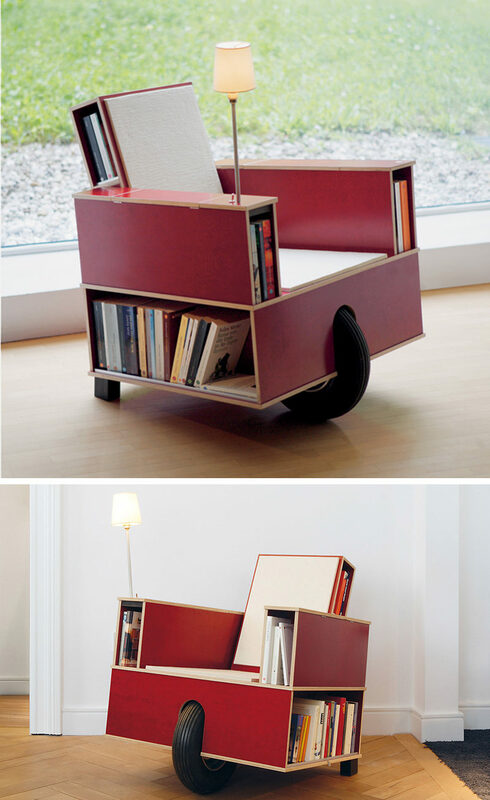 This movable chair was designed to allow you to take your favorite reading chair to your favorite reading spot, and with the built-in light, it doesn’t even have to be a well-lit spot! Bookinist designed by Nils Holger Moormann. 5. 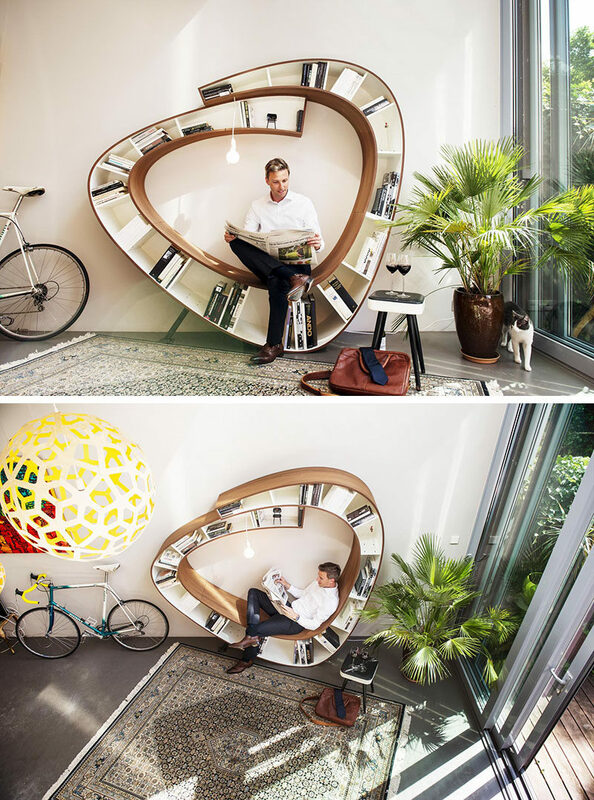 Curved chairs create extra comfy seating while the openings underneath provide an easy to reach storage spot for your current reads. 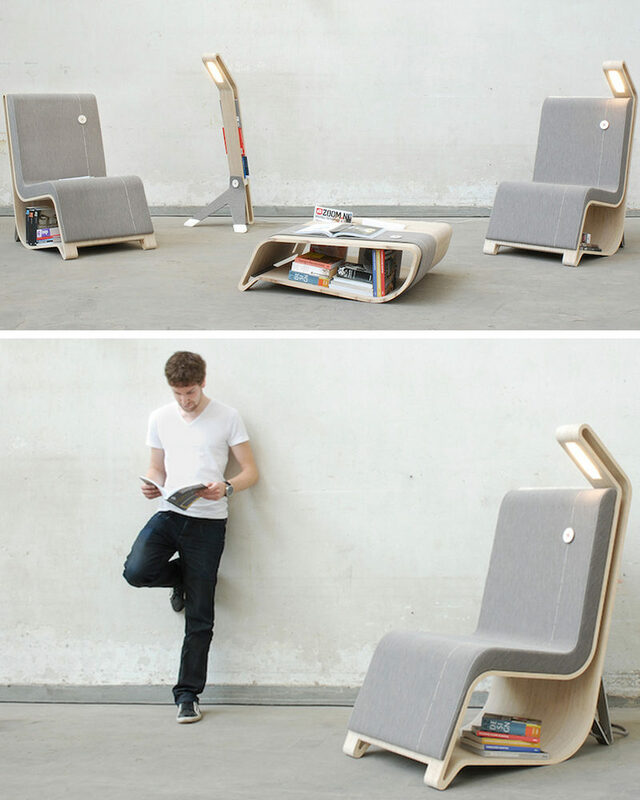 Reading Furniture designed by Remi Van Oers. 6. 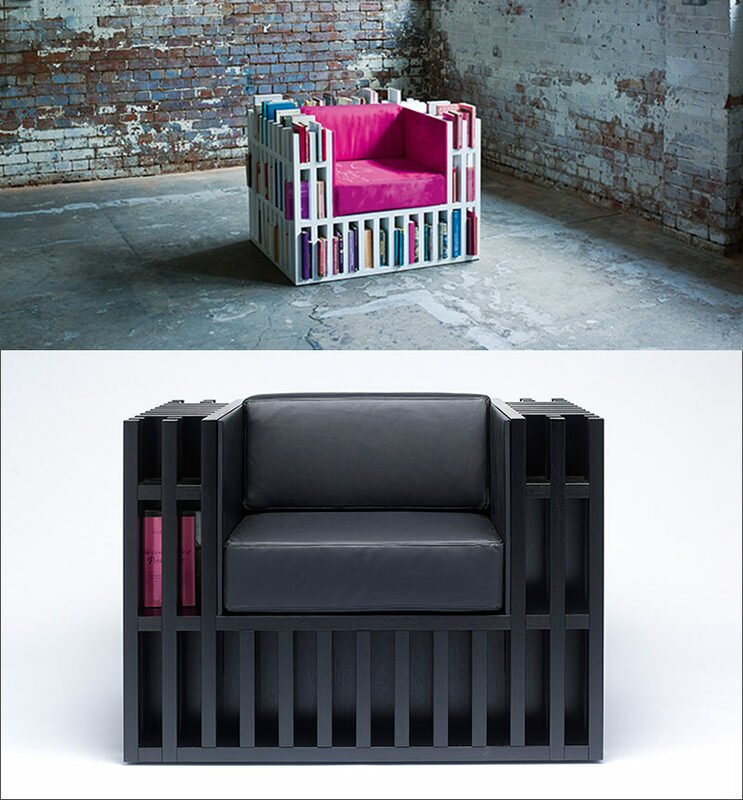 Get wrapped up in your favorite books – literally – in this lounge chair with shelving built around it to store all your must-read books. 7. 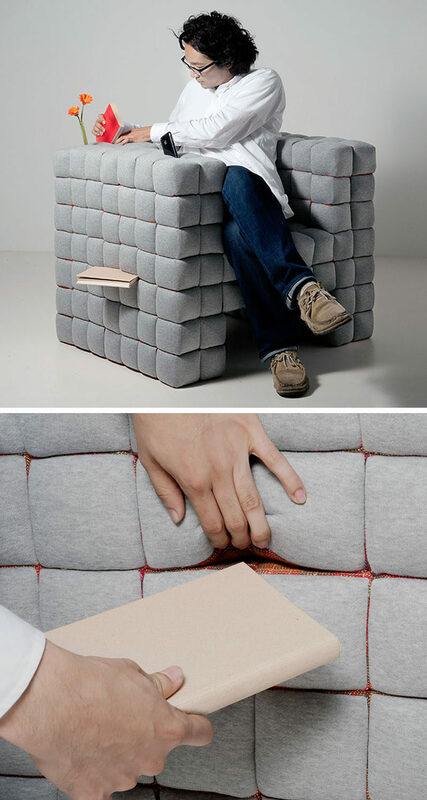 The tightly packed upholstery on this chair has just enough space between them to hold onto your books until you come back to them. See more of this chair, here. Designed by Daisuke Motogi. Photography by Takahumi Yamada.